Gary Robbins, who has failed to finish The Barkley Marathons all three times he has entered, has compared the Rat Jaw portion of the infamous ultra-marathon course to ‘Slippery Stairs,’ a ‘game’ that has featured as a segment on Japanese variety shows. When you get knocked down, get up again. It’s not how many times you get knocked down that count, it’s how many times you get up again. The contestants who take part in ‘Slippery Stairs’ (also sometime referred to as ‘Lotion Stairs’) really need take these old adages to heart, because ... the struggle is real. For those who haven’t yet seen the video clip above, Slippery Stairs/Lotion Stairs is a ‘game’ that has appeared, in various incarnations, on Japanese variety shows going back many years. In this relatively recent version, a half dozen barefoot contestants—each wearing a skintight body suit of a different color—all try to climb a staircase slicked with some kind of lube in front of a live studio audience. The goal is to reach the top of the stairs and grab the prize envelope before any of your fellow contestants, a task made more difficult by the fact that attendants seem to add more lube to the stairs anytime a stair-climber nears the top. ‘Slippery Stairs’ has been described as “diabolical” and “a metaphor for adult life,” yet when you get past the slapstick humor and the schadenfreude, you see that the biggest obstacle to winning the prize doesn't seem to be the treacherousness of the stairs, it’s the treachery of fellow competitors. Watch the clip above and you'll see that the real drama occurs whenever two contestants near the top of the stairs at more or less the same time; one inevitably pulls the other back and both plummet to the bottom of the staircase, in the process knocking other contestants down like bowling pins. 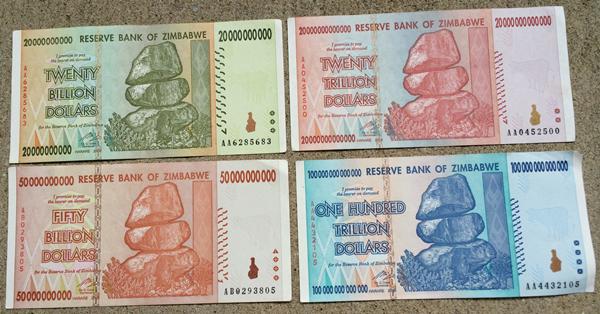 In this instance there are many near brushes with victory—including several by ‘red guy’—but as is the often the case in real life, the best and most consistent performer doesn’t end up winning. If you’re not familiar with The Barkley Marathons, it’s an extreme off-road endurance race held each spring in the mountains of eastern Tennessee, one that infrequently sees a competitor successfully navigate its five 20-mile-plus segments within the 60 hour time limit. (In 36 years, little more than a dozen different individuals have finished). Select winner’s aside, perhaps, Robbins has received more attention—and has become more famous—than just than just about any other Barkley Marathons entrant, thanks to his dramatic failures. In 2017, for example, he finished the course in 60 hours and 6 seconds after taking a wrong turn. Now Robbins’ heroic efforts to finish The Barkley Marathons within the allotted time are chronicled in the riveting documentary, Where Dreams Go to Die. If you liked the earlier Barkley Marathons documentary, The Race That Eats Its Young, you’ll no doubt like this one as well. As for me, I’m looking forward to finding out is Robbins plans to return to Frozen Head State Park to take another stab at the Barkley Marathons in the spring of 2019. 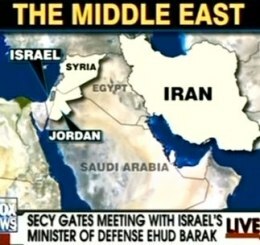 Fox News Middle East map fail—Fox News redraws the map of the Middle East. The Vermonster slays corporate Monster—In a rare David versus Goliath-type victory, Rock Art brewery has reached an agreement with Hansen Beverage that will allow it to continue selling its ‘Vermonster’ beer. 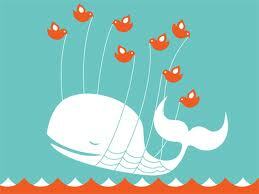 Fail Whale endangered?—Yesterday afternoon Twitter announced that it will be moving its technical operations infrastructure into a new, custom-built data center in Utah.